It is drilled into us all through our childhood and every driver's ed class goes to extraordinary lengths to demonstrate the potentially catastrophic outcomes of driving while under the influence. We have all seen the photographs of the cars wrapped around trees, crushed on the side of the road, or otherwise destroyed by drunk drivers. We have all seen the videos of the drunkards stumbling through the roadside sobriety test administered by a police officer on the verge of busting out laughing. We have all heard the stories of people needing to blow into a breathalyzer in order to start their car because of prior DUI convictions. And yet, as usual, legislation continues to trail public sentiment and loopholes continue to allow offenders to escape any serious punishment. 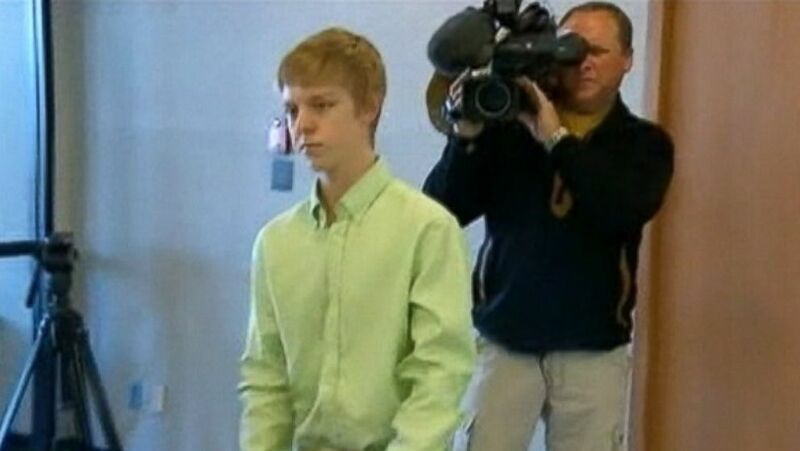 Take, for example, the case of Ethan Couch from Texas. A little less than a year ago, Couch was responsible for a grisly accident that resulted in the death of four people and the ejection of two of the passengers in Couch's vehicle. He tested with a blood alcohol level three times the legal limit along with traces of the drug Valium. When the case went to trial, instead of serving any kind of jail time for the four deaths that he caused, Couch's high-priced lawyer was able to get him off with little more than probation and an extended stay at a cushy rehab clinic in Southern California. After serving his time in the rehab clinic, Couch will be able to get his driving privileges back. Certainly not right away, but at some point. It is simply inconceivable that someone who ended the lives of 4 people with a 2-ton automobile would every be allowed to get behind the wheel again. This makes about as much sense as handing a convicted murderer a handgun and telling them to be careful and not to kill again. Instead of allowing this stupidity to continue, the laws should be changed so that if you are convicted of a DUI that results in the death of another person, you are banned from driving forever. I realize that some people will feel that this is sort of harsh, but I argue that it is quite lenient. Considering that the offender ended someone's life, the fact that they will not be allowed behind the wheel of a car ever again should be the least of their concerns. In the case of someone like Couch, the fact that he is able to get off with so little punishment considering the irreparable anguish he has caused with his actions causes me to fume, but at least he will be off the streets for a while. Just as bad, or perhaps even worse, are those individuals who are repeat DUI offenders. Take, for example, the gentleman from this video. Yes, you heard that right. He has five DUIs already, and still he gets behind the wheel and is allowed to drive. Worst of all, he was attempting to drive himself home from a bar when his friend pulled this prank on him. While we are supposed to be shocked at the prank, I am frankly more appalled by the fact that the drunk idiot fails to recognize that what he does, drinking and driving, puts not only endangers himself, but everyone around him. Clearly he is unable to grasp the risk and therefore, he should not be allowed behind a wheel ever again. In fact, someone with that many DUIs should be taken off the streets altogether for everyone else's safety. If he is ever able to get clean, he should still be relegated to taking public transportation anywhere he goes as a reminder of just how foolish his actions had been. Right now, there is simply too much variability in the outcomes of a drunk driver's legal proceedings. If I could change things, I would institute some sort of minimum sentencing requirement for all DUI convictions and that there would be absolutely no leniency or extenuating circumstances considered for the minimum sentences. And at a bare minimum, drivers convicted of DUIs who are repeat offenders or who cause accidents that result in loss of human life should be banished from ever driving again. As draconian as that sounds, it seems about the least we should do.